I’ve added two pairs of earrings to my jewelry shop, which are my new autumn favorites. 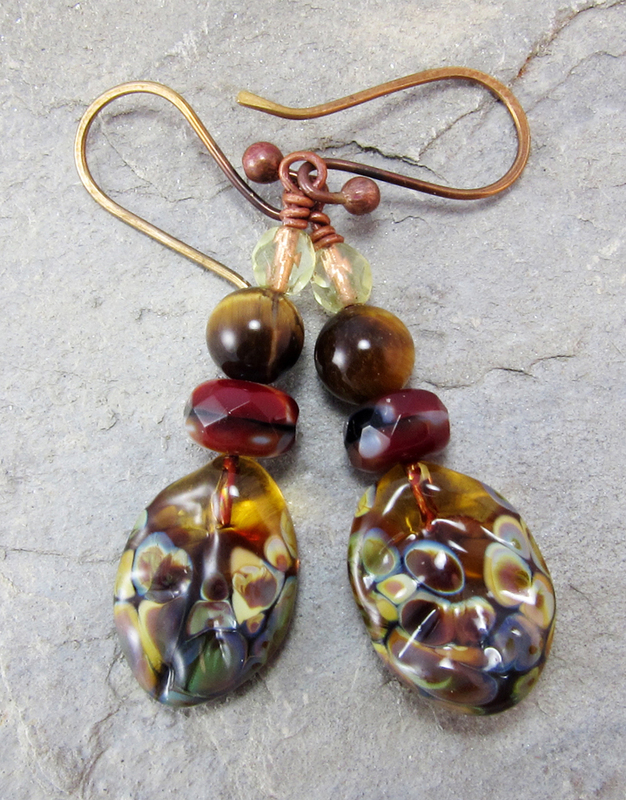 They both feature lampwork (handmade glass) leaves by Havana Beads. 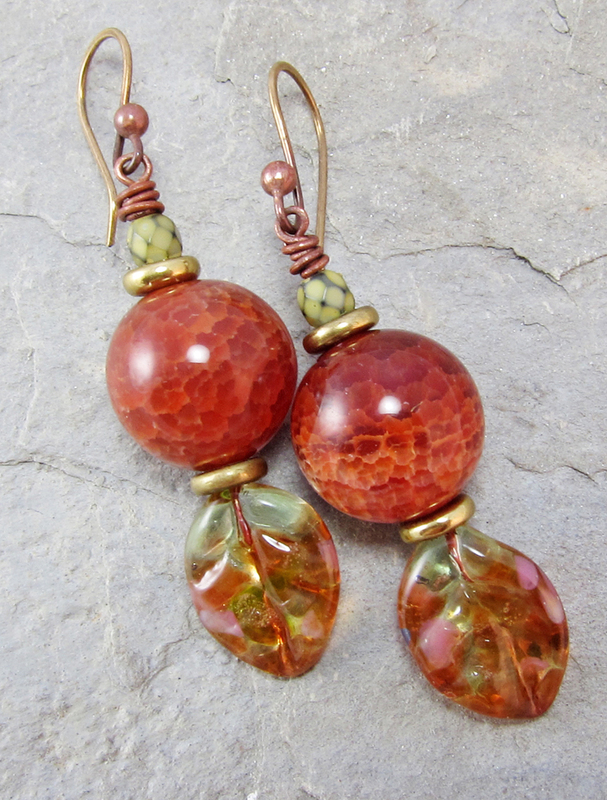 The “Autumn Leaf Earrings” showcase large (14 mm) fire agate beads. The color is s-o-o-o-o gorgeous! I framed the fire agate with brass spacers and topped them with cool sage green fire polish glass beads. The handmade glass leaves at the bottom have flecks of amber, pink and green. The “Dappled Leaf Earrings” are smaller and more subtle, but just as pretty. This pair of leaves has varying shades of brown and cream with hints of green. I accented them with gleaming tiger eye (the brown stone), brick-red glass beads and light green beads that have a copper core. Both pairs of earrings are suspended from handmade brass ear wires. This entry was posted in Jewelry, Lampwork Beads and tagged atumn, bead blogs, earrings, Fall, lampwork, leaves, Linda Landig Jewelry by Linda Landig. Bookmark the permalink. I love the first pair. Perfect! Those lampwork leaves are just gorgeous! And you have chosen just the perfect beads to go with them.